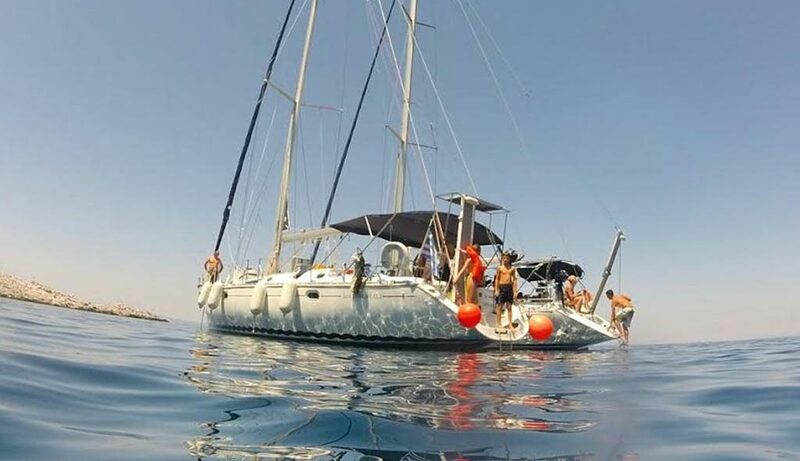 Live the ultimate Sailing experience within a day at Nikiti Halkidiki. A memorable sailing experience day can be enjoyed exploring the treasures of Kelyfos island and the natural harbors near Porto Carras Resort. On board you can enjoy meals of your preference and be assured of the services of an experienced skipper. Our trip begins from the port of Nikiti at 10:00. Our first destination is Kelyfos island where we will serve you coffee and breakfast and at the same time you can explore the waters of the island and enjoy our water sports and games. At noon we will continue to our second destination which is the natural ports right next to Porto Karas. 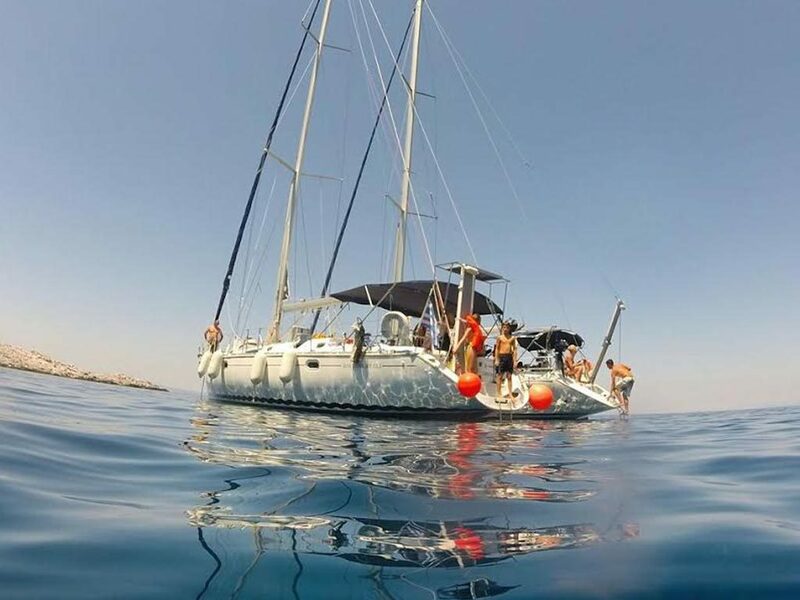 Throughout our trip you are given the opportunity to learn the art of sailing and enjoy care-free moments on board where you can enjoy a sunny day and the relaxing sound of the waves to the fullest. As soon as we reach Porto Karas, it is time for us to prepare your lunch while you delight in sunbathing ,swimming and exploring underwater. The moment we finish our meal and get our energy back we head to our third and last destination, St George beach. Fruit or ice-cream and coffee or tea will be offered to you there. When we are finished with our games, dives and well taned it is the time for us to head back to Nikiti where we will reach the port at 17:00.